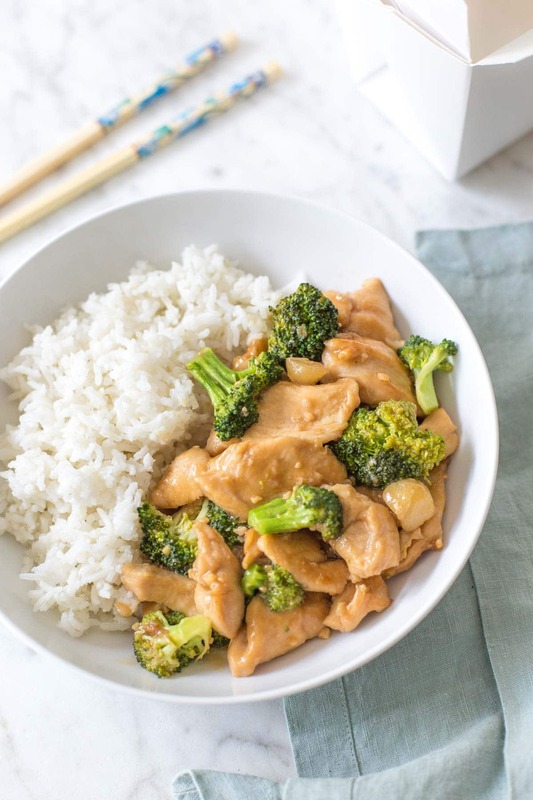 Skip the takeout and make this Chinese chicken and broccoli at home. It’s easier to make than you might think, and tastes even better than your local restaurant. Serves 6. Ever since I was little, my favorite thing to get when we ordered Chinese or went to a Chinese restaurant was chicken and broccoli. I love love love it. I love the sauce and the freshness of the broccoli. I even love the way the sticky white rice tastes all by itself. It’s something I really miss now that we live in France, and I must say – French Chinese food is just not the same as American Chinese food. Over the past year or so, I’ve been testing out all sorts of Chinese recipes from Pinterest and other places on the internet, but I never found one that I thought stood its ground against the real deal. Finally, I think I’ve found the ONE. 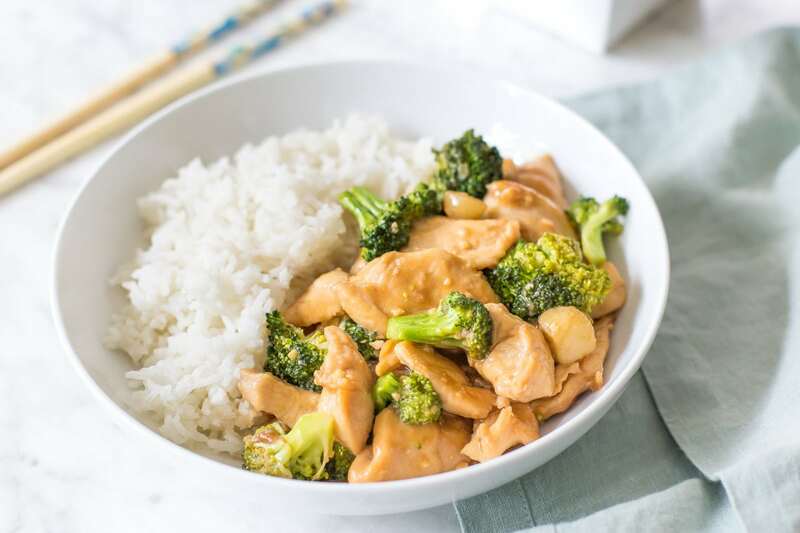 The sauce has the perfect texture and creaminess, and the broccoli – which needs to be cooked just right – is the perfect amount of crispness. How do you make Chinese chicken and broccoli? 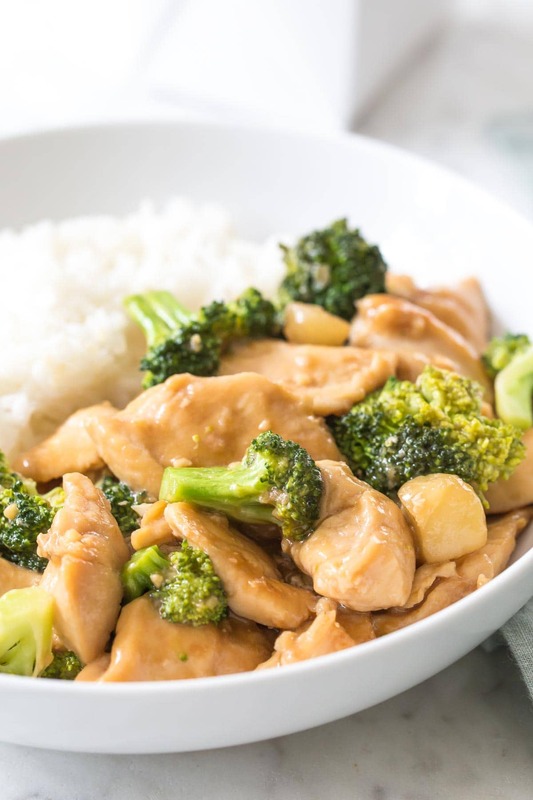 There are a few simple things you can do to ensure that this recipe turns out as great – if not better – than Chinese chicken and broccoli take out. Slice the chicken against the grain. This makes gives chicken the perfect texture and makes it more like restaurant style chicken and broccoli. Steam the broccoli. It needs to be cooked just right. I used a vegetable steamer, but you can steam it in the microwave, too. Just make sure you don’t steam it too long because it’s going to be cooked a little more when it’s added to the sauce. Add water chestnuts. You don’t need to add them, but they’re almost always included in takeout. So if you have them, add them. Why do we use baking soda in Chinese chicken and broccoli? The baking soda causes a chemical reaction with the vinegar that’s in the sauce. That’s why we don’t add mix it together right away. But, when they do come together, they cause a foaming reaction that creates a light and airy sauce. I know it’s weird, but trust me, it works. Can I make this gluten free? Yes. 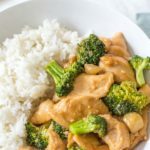 Simply swap out the soy sauce for tamari and use 1 tablespoon of cornstarch in the sauce (rather than 2 tablespoons flour). Whisk the marinade ingredients together in a small bowl. Pour oven sliced chicken and let marinate until ready to cook. Steam broccoli in a large, microwave safe container for 3 minutes. Whisk the sauce ingredients together in a second medium bowl. Heat a large, non-stick skillet to medium-high (add 1 tablespoon of oil if not using a nonstick pan). Add chicken with its marinade. Sauté until chicken is golden brown, stirring frequently, about 5 minutes. Add the sauce, steamed broccoli and water chestnuts to pan. Stir to evenly coat the ingredients with sauce and cook until sauce has thickened – about 2 minutes. For a thinner sauce, add about 1 tablespoon of water at a time until desired thickness has been reached. Recipe adapted from Rainy Day Gal. yum, this looks delicious! I love chicken and broccoli too, can’t wait to make this recipe! This was absolutely delicious! Thank you so much for posting! Made it a few nights ago to get rid of broccoli–making it again today! Very delicious! Although, I added some salt and pepper for a little extra flavor. I used frozen broccoli and coconut oil instead of vegetable oil. IT. WAS. AWESOME! fantastic! I can’t get over how good it is! It’s BETTER then take out! Can you make this with a crock pot? I’m not so sure it would turn out in a crock pot, but I’m not really sure since I’m not very experienced with crock pot cooking. I have read many times that when adapting a crockpot recipe you need to cut back on liquids, but there isn’t that much liquid to cut back on. I wish I could give you an answer though because it would be amazingly easy if you could! If you do try it please let me know how it turns out. I am confused on the directions can you explain the third step again please? For the third step you need to steam the broccoli. I mentioned in the post that I steamed mine in a vegetable steamer, but you can also steam in the microwave. For the fourth step, you need to cook the chicken with the liquid it was marinated in and 1/2 of the sauce (saving the other half for later). Does that help? What about garlic? Is that absolutely necessary in the recipe for taste? I’m not a fan of it nor do I have so if I replace w onion will it change everything? You could try replacing it with minced onion, but it might not taste like the stuff you get from takeout places. You can definitely cut back the amount if it’s overwhelming to you (maybe half-onion, half-garlic), and that might help, too. Play around with it, and let me know what you think if you swap onion in! Thanks so much for sharing this. I never thought I’d find a recipe for chicken & broccoli like in a restaurant…this is as close as you’ll ever get. The best part was that I had all the ingredients in my kitchen already and didn’t have to run to the store. It was easy and so delicious. This will be a dinner I’ll make over and over. Made this for my family tonight. Tripled the recipe for 2 hungry teenagers, hubby and myself. Everyone LOVED this, and went back for seconds. Had some leftovers, but this is perfect for lunch tomorrow. I have saved this recipe as it is DEFINITELY a keeper. It is absolutely delicious!!!! Yey! I’m so glad you liked it, and I am happy to hear that you will be making it again. Thanks for reading! This was really amazing. It tasted much more like American Chinese food than I was expecting! The sauce was spot on. I varied it slightly to use a mix of broccoli, carrots, and snow peas. I have made many Asian dishes and also have my favs, Will definitely not be making this again, I wasted 4 primo farm raised chicken breasts on this. Mike, I’m so sorry you didn’t enjoy the recipe. Was there something in particular that was wrong with it or was it just not in your taste? I always love constructive criticism so I would love to know what you think. The trick to asian cuisine is that the food needs to be cooked on an open flame. Electric stoves don’t work. Was craving chicken and broccoli but not in the mood to order. This was perfect, super quick and tasted better than takeout. Added green beans and mushrooms over soba noodles. Delicious, thank you. made this for my grandkids the other night and they all had second servings, it was great! I made this last week and it was amazing! My family absolutely loved this recipe! I had all the ingredients so this was a easy dish to make. I look forward to many more wonderful recipes. Am I able to use canola oil instead of vegetable oil? This is delicious! I’m waiting for my husband and son to return from errands, and can’t stop tasting this. Hopefully there’s some left when they get home! I hope there was some left when they got home 🙂 hehe. I know I definitely wouldn’t have the willpower to wait if I was really hungry! Managed to leave a little for them 😉 Hubby says it’s a keeper. Toddler inhaled it. Delicious! Thanks for sharing. I made this for dinner tonight and it turned out amazing!I’m 19 and love whipping up new dishes as a stress buster and a passtime…and this one was by far the best dish i’ve tried!It’s lovely how almost all the ingredients are healthy – skinless chicken,low sodium soy sauce,brown sugar. This is such a fantastic recipe! Thank you so much for sharing. I wonder if the two people who didn’t like it made it wrong or something because the flavor was perfect! LOVE this recipe! Do I need to use rice vinegar? No you don’t have to use rice vinegar, but it’s flavor is most compatible with the dish. As a substitute I would suggest using white wine vinegar or apple cider vinegar. Will sesame oil instead of Vegetable oil overwhelm the taste in your opinion? Yes! Sesame oil has a really strong flavor and will totally change the taste of the dish. I never use more than a teaspoon or so in anything that I make. I would suggest avoiding it all together in this meal – unless you’re a sesame oil fanatic. The garlic goes in when you make the sauce, half of of which goes cooks with the chicken and it’s marinade and the other half gets added later with the broccoli. This was fabulous! My family loved it! Thanks for sharing the recipe. This is my go-to recipe for chicken with broccoli! Made according to recipe (except I always add some grated fresh ginger to mine) and it’s delicious. It doesn’t taste exactly like our Chinese restaurant’s — it’s better!! For the sauce, the recipe mentions 1/4 cup + 1 Tablespoon of Soy sauce. Is the 1/4 cup to be soy sauce or water? I love this recipe! It was so easy and fast. I skiped some of the inscrutions and it still came out great!!! my family love it. No more take-out. I feel better making my own food. Thanks!! I have had this on my pinterest board for awhile and decided to make it tonight for myself and my 7 year old. Thank you…this was really fantastic!! Wow! Best Chinese food I have every cooked, and I’ve tried alot. Kids wolfed it own. Should have doubled the recipe. Very nice!! I searched and searched for the perfect recipe and yours seemed the best, however when I made it something went wrong. It tasted…off. I think it might have been the rice vinegar, can it go bad? or is rice vinegar not usually used to make chicken and broccoli? This dinner was awesome. I’m so glad I came across this recipe. Even my 2 kids ate it and that’s always a plus. Thanks for sharing. I made this tonight and it was great. Next time I will add ginger to the sauce. Thanks for this! Just a dude trying to feed the kids. This recipe was fast, used common ingredients and made an amazing meal! Daughter asked for Chinese food and this was the first recipe I searched that I had most everything in the kitchen. Couldn’t find rice vinegar so substitued Apple Cider and wow did we like the taste! Added to my arsenal of meals, thanks for posting! Absolutely delish! Printed and will make again. I added just a touch of fresh ginger just because I love the taste. I made this for my wife and son and the favors were spot on. Thanks! I just tried this recipe for the first time this weekend. Hands down the best chicken and broccoli I’ve had in a long time. It’s take-out quality, incredibly easy, and as mentioned earlier I don’t have to go buy broth of so-yu-hung from a shop 200 miles down the road because everything is in the kitchen. My mother, girlfriend, and even my brother (whom does not care for Chinese food) agreed when I made it that this was phenomenal. Every aspect from the texture of the chicken, to how green and tender the broccoli is, just to how it looks when it’s finished is amazing. I tripled the recipe for myself to last the week and all in all it cost me around $6 for the chicken breasts on sale, $4 for the broccoli, and $5 for the rice so we’re looking at $15 for a week of cuisine for me. Beats the $10 for 2 servings any day. I will be saving this recipe and sharing it with people in the future. Thank you so much for sharing! ..this time i also added half a teaspoon of ginger cuz i was kind of lacking that. i just added the broccoli without steaming cuz i didn’t wanted it to get mushy. Tonight is the fourth time I’m using this recipe! It’s my “go-to” recipe for chicken and broccoli! Yummy!!! I just made this and it is SO GOOD! it shocked me at how easy and simply it was, and to be honest I was nervous about how to cut up the chicken too. but I followed the directions and mayyyy have messed up the ingredients for the marinade because I apparently can’t read measurements lol. but it still turned out fantastic, hopefully I do better next time and it will be PERFECT! I made this tonight and it was delicious. I added some things I had on hand – shredded carrots, freshly grated ginger, toasted almond slivers, a little sriracha sauce. Thanks very much, I will definitely make it again. Great! Just like Chinese takeout but even better. I used a different recipe last time and the broccoli turned out unappetizing. When I saw the directions to steam it separately a light went on! I will definitely make this again and again. This was great! We eat nearly all organic so I used all organic ingredients and used coconut oil for the marinade and garlic infused coconut oil for the sauce. We use something called raw coconut aminos in place of soy sauce ( it is a soy free Seasoning Sauce that tastes similar to soy sauce). It was great and the kids loved it!!!! Will be making this a regular part of our dinner menu. Please help me what should I do with garlic ? I’ve tried several recipes for this dish and this is the one my family couldn’t get enough of. You know they love it when they return to the refrigerator two hours later and finish the leftovers cold. I do have a question. I just read the ingredients on the soy sauce and they are all chemicals and sugar. Does anyone know of a healthier soy sauce? Coconut aminos! Its a very healthy alternative.. Doesnt taste like coconut, you won’t know the difference when mixed in with a sauce! Made this tonight for my little man who loves chicken and broccoli. The taste was absolutely perfect. I loved the texture of the chicken. The only thing that went wrong for me was the whole thing was way to dry. I had to add a lot of extra liquid to keep things moving in the pan. I ended up with a ton of sauce, which isn’t a bad thing. We will just add more chicken and broccoli and eat it again tomorrow! Loved it despite my troubles. The mistake may have been my own anyway. Will be making this again. Often. How long should you leave the chicken to marinade?? i just cooked this for the family tonight…i didnt have low-sodium soy sauce so used ordinary which concerned me it would be really salty and horrible. i also substituted apple cider vinegar becoz i didnt have the other and i didnt have enough broccoli so had both broccoli and cauliflower. The end result was delicious! we had it with brown rice as well… OMG so yum! oh and i forgot to add…when i put the chicken in the frypan with the sauce i added way more water! Made this last night…very good, except I used regular soy sauce instead of low sodium and it was too salty. Definitely recommend following the directions to get the right salt level….but other than that, very tasty and easy! And I already had most of the ingredients! I am using this recipe for over a year, and we enjoy it every time! I add less soy sauce and more water, and I sometimes add carrots or bell peppers together with broccoli. 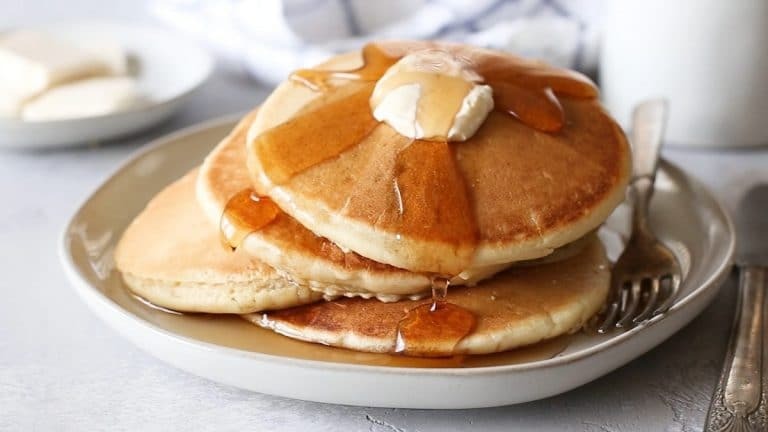 Would it be okay to substitute brown sugar for white sugar? Thanks for a fantastic meal! To make it even healthier, I used Coconut Oil for the vegetable oil. I just made this for my family and I wanted to thank you. My three picky kids (ages 5, 7, and 9) don’t usually try anything that I put on the table. They eat Chicken and Broccoli but only if it comes from a take-out container. So I was really hesitant to even try, but with money as tight as it is, we can’t afford take-out, so I threw caution to the wind and tried the recipe. Of course, the snoopiest middle child made the first comments and said she didn’t want to eat it on looks alone. We told them to just try it. They devoured the entire recipe (with help from mom and dad). She just asked if we could have it again for tomorrow’s supper. So thank you again for the great recipe. It tastes just as good if not better than our local restaurant and what is even better, is that I know exactly what is in it. Made this exactly following the recipe a few weeks ago. While I thought it was good (and my family loved it), I found the sauce to be too sweet. I just made it again last night, using Splenda white and brown sugar blends in equivalents that cut the sugar in half. I also added about 1 tablespoon of fresh minced ginger, 1/2 teaspoon of crushed red pepper flakes, and a bunch of sliced baby Bella mushrooms. I served it over brown rice, and it was PERFECT! (It goes without saying that this dish was still a tremendous hit with the family:) Thanks for the great recipe! Happened across your blog via search. Wow on the chicken-n-broccoli. (Loved the line about American Chinese tasting better than French Chinese, lol.) Recipe was dead-on delicious. Easy-peasy. Hubby doesn’t like broccoli so I made him a second batch with leftover mixed veggies. Just as delicious! Just wondering: can the marinade and sauce be made ahead and stored? Maybe just add the dry ingredient just before using them? Thanks for this awesome recipe! Tasted just like takeout, and the texture was right too. You could totally make the sauce ahead of time. I would just wait to add the baking soda until right before because of the chemical reactions and make sure to whisk everything up before using. Other than that you should totally be able to make it ahead! This recipe is so 100% spot on. I’ve tried several different C+B recipes in the past and none were as good and easy as this one. Thanks! Amazing recipe. I added about a teaspoon of ginger to the sauce (I’m ginger obsessed) but other than that followed your directions and it was SO good. Thank you for this one! I made this for dinner last night. It was amazing!!! Thank you for sharing the recipe. Loved this. I added about 2 extra tablespoons of brown sugar to the sauce mix to make it less salty .. Absolutely delish!! I am eating this as I type. It actually tastes like takeout chicken and broccoli! Amazing! I’m sorry! I think I may have screwed up the ingredient list when I switched to my new format. I have edited the ingredients list and edited the recipe to make it a bit more clear. Hope that helps! Oh…my….GOODNESS! I don’t eat meat but I did taste the sauce and it was delicious (don’t tell anyone! lol). I added black pepper and red pepper flakes to the chicken and also added red chili paste, chicken stock and sesame oil to the marinade. Just fabulous! So happy I found your awesome site! The recipe is amazing! Can you confirm what the 1/4 Cup is for the sauce mixture please? The information is not shown I just want clarification for when I make this again. It just means that after you make the sauce, you’re going to use 1/4 of it when you first cook the chicken. I just pour some into a 1/4 cup measuring cup and than leave the rest for the remainder of the recipe. Does that make sense? If not let me know! I have made it too many times, my husband and I both love it. Recently I got brave & started adding mushrooms when I put the broccoli in, just to mix it up. So. Delicious. I don’t do added raw sugars and was wondering if the marinade woutl be OK with a touch of honey or no sweetner at all? Yes! You can totally use honey instead of the sugars. I wouldn’t go with no sweetener though because it balances out the salt/acidity of the sauce. 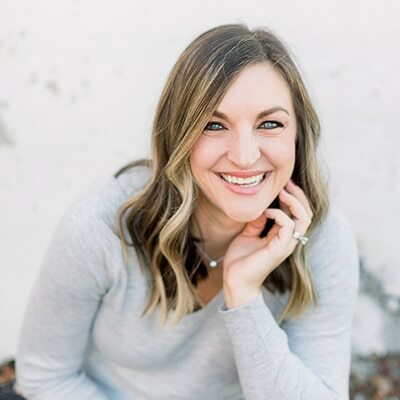 What’s Cooking this Week | Mom Hair, Dont Care. Chicken and Broccoli | What's for Dinner Moms? Thank you for sharing this recipe. I cook this all the time and my family loves it. I add sautéed onions to the chicken and brocolli though. Onions would be great in this! How long can I marinade the chicken for? Could I prep it the night before? You should be able to marinate it the night before, or you can prepare all of the liquids and store them separately from the chicken as well. It’s up to you! Good, but a tad too sweet for me. Next time I’ll try adding sugar at the end, smelling and tasting the sauce before settling on it, and eliminating it from the marinade. One thing I did was use the water from steaming the broccoli to thin the sauce. OMG!!! it is delicious!! better than the Chinese take out. Thanks for sharing. I have been searching for a recipe this amazing for … ages! I’ve tried out quite a few, but this one is not only fantastic but also simple as well. In fact, I made it twice in one week. Normally I would feel a little silly admitting that, but who cares? It’s that good 🙂 Thank you so much for sharing! i don’t see the steps for the directions? I’ve updated the recipe. It looks like something went a little wonky when I switched over to the new recipe format. So sorry if that was an inconvenience for you. I hope it didn’t ruin your dinner plans! I’ve made this three times already and I love it. My daughter and husband also love it (my son’s not a fan…yet). To me, it hits the spot when I want the taste of Chinese takeout. 🙂 I’ve reduced the soy sauce just a little to ease off the saltiness, and I use chicken thighs for super tenderness. THANKS for this recipe!! Just made it! My husband thinks it’s better than take out!! I cooked the broccoli differently: put a but of sesame oil in the wok, heated it, put the broccoli in and mixed it all well. Added a bit of water, covered it for 3 minutes. It was all Delish!! I just made this and am eating as I type. I LOVE me some chicken and broccoli take out. Unfortunately, Chinese food in south west Kansas isn’t quite like back home in New York. This recipe is delicious!! The sauce is the perfect texture. I added a little extra water, as suggested, to thin the sauce a little. Next time (probably sometime this week) I’d like to add some ginger. I am excited to make this recipe tonight. Just a couple questions, I already have a bag of broccoli that is bite size/crowns already. how many cups do you think a head is? Also any suggestions with doubling the recipe? I know sometimes it messes up a recipe. So sorry I didn’t get back to you sooner. I think one bag of pre-chopped broccoli should be just fine. A small head of broccoli should be around 3-4 cups when roughly chopped. This is the best! Thank you so much! This is one of my family fav’s and a great quick weeknight dinner. I like to add a bit of crushed red pepper for a little spicy kick. I’ve used this recipe with chicken, beef and shrimp (separately of course)! I have to say, I absolutely LOVED reading this comment. 🙂 I am so glad you liked the recipe that much! I make this regularly. Really good healthy recipe. can you use olive oil instead or will that make a strange flavor? I will definitely be trying this. For the sauce though, u said “1/4 cup + 1 tablespoon reduced-sodium soy sauce”……1/4 cup of what might I ask? Thanks much. Can’t wait!!!! 1/4 cup of soy sauce + 1 tablespoon of soy sauce. Basically just a little more than a 1/4 cup of soy sauce. I dont have rice wine vinegar. Would I be able to use something else as a substitution? You can use almost any vinegar, I would choose white wine or plain white vinegar over others though. And definitely don’t use balsamic. Other than that any basic vinegar should work! What a terrible recipe. Everything congealed when it went in the pan into a brown mess. I’m a decent cook too so I followed it carefully. I’m sorry you didn’t like the recipe! If you think the sauce is too thick, you can whisk in a little extra water. It thins it out pretty good! We recently moved from NJ to the mountains of NC. Needless to say, good Chinese food is non existent here. This is sooo good, I can say I don’t crave Chinese food from Jersey any more. Thank you! I made this w/ pre-grilled chicken breasts. I like to add diced red pepper for color and taste, as well as a can of sliced mushrooms. I found the soy sauce too strong, though. On my second effort, I used 1/4 cup of chicken broth, and 2T of teriyaki sauce in the sauce; and the soy sauce in the marinade. Eliminated all the sugar and oil, except for 1 T oil to cook w/ in the wok. A few shots of hot sauce and a dash of cayenne made it into Hunan style!! Thank you for sharing!! Loved this recipe!! Thanks! I’m so glad you liked it! This is my favorite recipe on Pinterest. I’ve been making it for a few years now. My picky husband loves this over brown rice! I always add an extra bit of brown sugar & rice vinegar. I also tried marinating over night & made the sauce the night before too to save time making it after work the next night & it’s great!! Thank you for a regular meal in our home! Love!!! This was great and very easy to make. Definitely a keeper. Oh no! If you do that again (for any recipe), a little bit of acid – like vinegar or lemon juice – plus a little water should help tone it down a bit. I’m so sorry that it wasn’t good. I’ve made it with regular soy sauce before and didn’t find it that bad, but I do love salt a little too much. Of all the chicken and broccoli recipes I have tried, this one is the bomb-diggity- bomb. Awesome. magnificence. it reminds me of the chicken and broccoli that i would order from the Asian restaurants in my hometown. I make this for my girlfriend time and time again and she loves it. Thank you so much for this recipe. 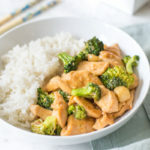 Also you just made some Asian restaurants lose an avid chicken and broccoli lover and buyer since i found this recipe, but i am not complaining. Money saved. Cheers! Thanks so much for the great review! I’m so happy to hear that you loved it. It really is such a money saver when you’re considering takeout! This was so Delicious!! I made it with chicken thighs instead… Awesome recipe 5 stars!! We love to cook and this recipe is AUTHentic. I’ve tried many recipes and this one is a keeper. Thank you! This was delicious! I was searching for an authentic Chinese Chicken and Broccoli recipe. I had all ingredients on hand and only substituted avacado oil for the vegetable oil. Thank you. Will definitely make again. This was very delicious! Thanks! Would boneless skinless chicken thighs also work in this recipe? Yes definitely! I would just make sure to try off any excess fat before cooking. It was fairly easy to mmake and absolutely delicious loved it and would do it again. This is a great recipe, it does taste restaurant-esque! I added a can of baby corn, and some water chesnuts to make it go farther for my family. Thanks for sharing! I love adding water chestnuts, too! I should try adding baby corn next time. They are the best! Made this tonight it was delish, followed it to the T just added more vegs….. this is a keeper. Tonight was one of those “what can I make with the ingredients I have” nights, and I had chicken, broccoli and cauliflower. When I typed it into Google, this is one of the recipes that popped up, so I gave it a try. I used broccoli and cauliflower since I didn’t have quite enough broccoli. It was so delicious! My entire family loved it. Just pinned it to my Pinterest page under “Favorite Recipes.” Thanks for sharing! I found that the sauce stuck to the pan. I would cook the chicken before adding any sauce. Otherwise quick and easy. My Family loved this. I made it tonight and my husband (who is VERY opinionated about my cooking) LOVED this. He kept saying “this is ridiculously good” the entire meal. The rest of the night the family talked about how good it was, better than takeout. Thank you very much for this great recipe. Will be making again for certain. I tripled the recipe as I was serving 2 adults and 6 kids, 3 of which are teen boys. I took several tips from others who had made it and cut back on the sugar a bit, used apple cider vinegar (I didn’t have rice vinegar), added more water and used chicken thighs because they were what I had on hand. Excellent!!! That’s awesome to hear! I’m so glad you liked it! This looks really good and doesn’t have a ton of sugar like most Chinese chicken dishes, so that’s nice. I’ll definitely have to give this a try. This was delicious! Do you happen to have a recipe of crab rangoons or fried pork wantons to go as a side with this recipe? I’m sorry. I don’t, but I should definitely work on some! I’m glad you like the recipe though! My FAVORITE Chinese take-out is Chicken & Broccoli, so I was a little nervous making this at home. I was hoping that it would taste as good as it does when you order out. To my absolute amazement, this dish is INCREDIBLE! It tastes just as good as ordering it from a restaurant, but it’s SO much BETTER because it’s made at HOME and you know ALL of the ingredients going into it! I cannot thank you enough! I will NEVER order this out again! Even the kids liked it!!! This recipe has already been put in our “Family Favorites” recipe book! I’m so happy to hear this! I am thrilled that you loved the recipe as much as I do! Delicious! 2nd time making it. But the sauce is too thick this time and ive added at least 1/4cup of water so far. I plan to keep it as is since i don’t want to take away from the flavor. The only things i did diff were using reg sodium soy sauce and not adding the full measure of soy sauce for the sauce because of the sodium. Could this had made a difference? Thanks for the amazing recipe! It was my fave dish growing up and it tastes just like it. Yes. I definitely could make the difference because the less liquid you have the thicker the cornstarch/flour will make the sauce. Just add a little water to compensate next time if you use regular sodium soy sauce. I just made this recipe for my family, and they are picky eaters. They loved it. It was so delicious. I actually prefered this recipe to the takeout place down the road, and took the same amount of time. Awesome that it has gluten free options too. I can’t wait to pass this on to my friends. I’ve made this 4-5 times in about a month already. Everyone loves this dish. My wife even asked me to make large batches to give to my in-laws and her friends. I think the sauce is pretty strong so you can add lots of water to thin it out. Added bonus: more sauce. Delicious! Everyone loved it! My best home made chinese meal to date because of this recipe. Hello. I am planning on making this recipe today. In the recipe you say ” Pour oven sliced chicken and let marinate until ready to cook”.. Im confused, i put the chicken in the oven first? or does it cook first in pan?